Tales of a Golf HR Consultant – Day 10: Keeping you out of the rough! Every golf club has them – the high-maintenance employees who take up 95% of your time to deal with, whilst all the other staff, who are doing their jobs, have to make do with the last 5%. It is possible to fire the b*ggers and this book will take you through the steps that you need to consider, to avoid a tribunal when dismissing. This is what a golf club proprietor needs! Private members clubs can afford to be righteous ,prissy and PC about problem staff: its not their money they are spending and anyway they can hide behind a committee. If you are trying to make money from a golf course or even just avoid going bust you must have this book on your shelf!5.0 out of 5 stars A must have for anyone managing staff. 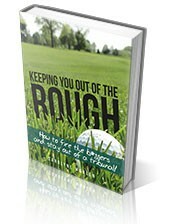 What a great book, full of really informative, easy to understand and useful advice, a must for any golf club manager. 5.0 out of 5 stars Hole in one! To the point, no nonsense practical advice. Easy to understand and apply to numerous situations while giving a clear understanding of current employment law and how to apply it. 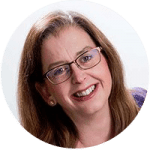 Don’t suffer under misapprehensions regarding those awkward staff – read, digest (& have a wry smile at the same time) – it’s worth it!